The Aloe Vera Gel Moisturizer cream we export is cold processed and is free from alcohol. It is made completely from natural ingredients. The mild formulation makes it ideal for daily use. 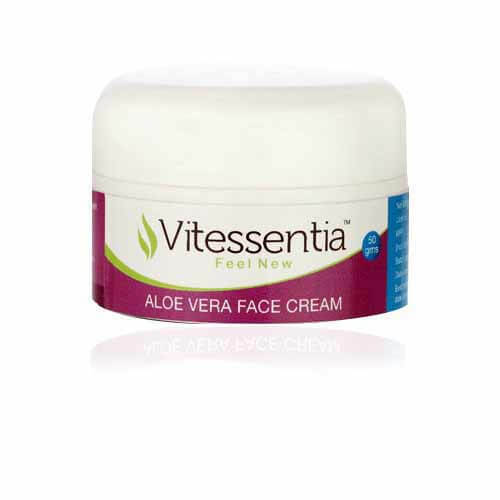 The Aloe Vera cream we manufacture is a combination of 20% Aloe Vera and skin conditioners. The conditioners nourish the skin while the Aloe content makes the skin radiant and protects it from UV rays of the sun. It is packed in plastic jars. Aloe Vera products & Green Tea Manufacturer & Exporter. Mehta Group established Mehta Herbs & Spices in 2004.